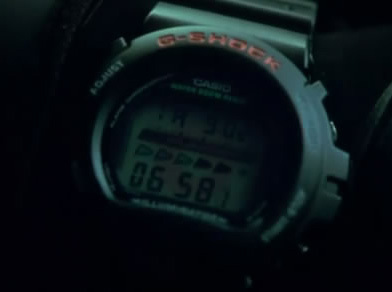 Seth Green wears a Casio G-Shock DW6600C in the movie The Italian Job. Seth plays the technical geek in this modern remake of the classic heist movie of the same name. The G-Shock fits his character. Some of the SWAT team members seen in the film also wear G-Shock watches. 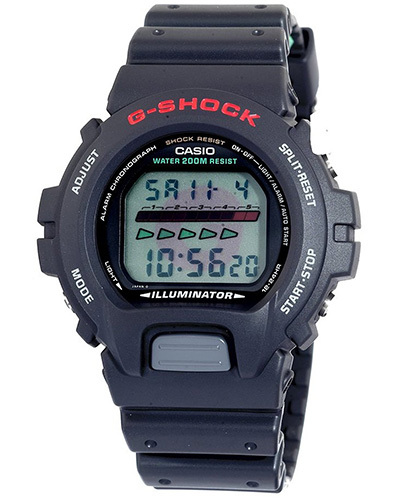 This classic Casio watch from the popular G-Shock range is loaded with features, including EL backlight with afterglow, 1/100 Sec. Stopwatch, 24 hour countdown timer and Resin band. Some of the new DW6600 watches have the words "Electro Luminescence" in stead of the word "Illuminator" above the light button. The watch worn by Seth Green has the larg G in the background of the screen, showing us that this it the DW6600C and not the DW6600 (which you can see in American Sniper) . CTU Agent Jack Bauer (played by Kiefer Sutherland) wears the same watch in the second season of the series 24.